In a story about Ignaz Semmelweis, the survival rate of children and their mothers, and handwashing included in his book “How to Fly a Horse,” Kevin Ashton points out that even in a “field as empirical and scientific as medicine… Creation is seldom welcome” (74 – 76). People need creativity and change, and they resist it at the same time. It’s part of the dichotomy of being human. When Walt Disney wanted his imagineers to envision and create a haunted house for his theme park, they all came up with the same idea: a decrepit, run-down building that had ghosts. Walt didn’t like it. He didn’t want a run-down building ruining his pristine park. 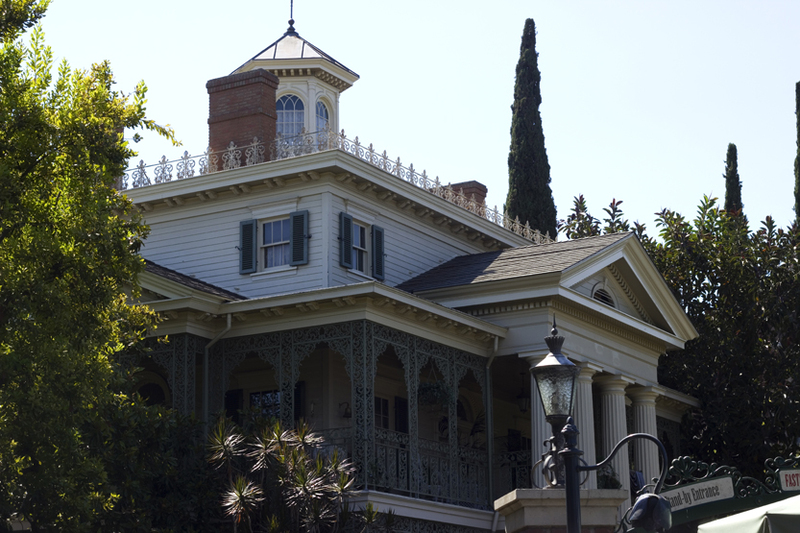 According to Sam Gennawey’s “The Disneyland Story,” Ken Anderson, the original lead on the Haunted Mansion as we now know it, wanted to hide the run-down mansion behind trees native to Louisiana. Walt didn’t go for it. Harriet Burns built three models for Walt to choose from. The imagineers put the pristine building behind the other two decrepit versions. Walt chose the beautiful building every time. He wanted guests to feel welcome in his park; that meant everything had to be clean and in good repair, even the haunted mansion. Walt was working with some of the most creative people in the planet. Imagineers knew Walt, had experienced his success and demeanor first hand. Even when he told them, “We’ll take care of the outside and let the ghosts take care of the inside” (Surrell, Jason, “The Haunted Mansion: Imagineering a Disney Classic,” p. 13), they insisted on trying to convince him that a haunted house needed to look a certain way. “Everyone expects a residence for ghosts to be run-down. But Walt was always looking for the unexpected,” (Genneway, p. 180) said Claude Coats. When those who consider themselves creative and create for a living have trouble accepting new ideas and ways of doing things, everyone else has even greater problems to accept the changes that come with innovations. It’s okay. We just need to realize that creativity is just as necessary for the advancement of humanity as being wary of the change that it brings is. As soon as we can embrace our seemingly opposed sides, we can see they are working together to make us more successful, as long as we don’t let one win over the other all the time. For more on creativity, get “Disneyland Is Creativity: 25 Tips for Becoming More Creative.” Order “Penguinate! Essays and Short Stories.” Preorder “The Haunted Mansion Is Creativity.” For more on the Disney Company, preorder “Penguinate! The Disney Company” officially releasing on April 14, 2019.